Rickeys are old cocktails, but they’re gaining in popularity again. Mrs. Ferment fell in love with her first Gin Rickey at The Cheesecake Factory. I’ve been a fan for years, because of its ease of preparation and simple ingredient list—containing gin, sparkling water, and lime. And it is served ice-cold. Put the gin in the glass full of ice. Squeeze the lime over the glass, and drop the squeezed lime (called the shell) into the glass as well. Top with seltzer or sparkling water. Easy! A good gin will provide just the right amount of botanicals to the cocktail, but if the result is too tart, and it can be for modern palates, a squirt of simple syrup or a sweetened lime juice can be added. Newman’s Own limeade is always in my cool chest. The Cherry lime Rickey. An icy-cold drink on a wintery day. The original Rickey was made with Bourbon, as so many of these American drinks. That recipe is the same as the above, exchanging Bourbon for the gin, but is now known as the Joe Rickey. This is fine, as far as it goes. I’m not much of a Bourbon man, myself, and I don’t feel that lime is the best citrus fruit to pair with whiskey. But there are other fruits that pair perfectly with the Gin Rickey, and my favorite is cherry. 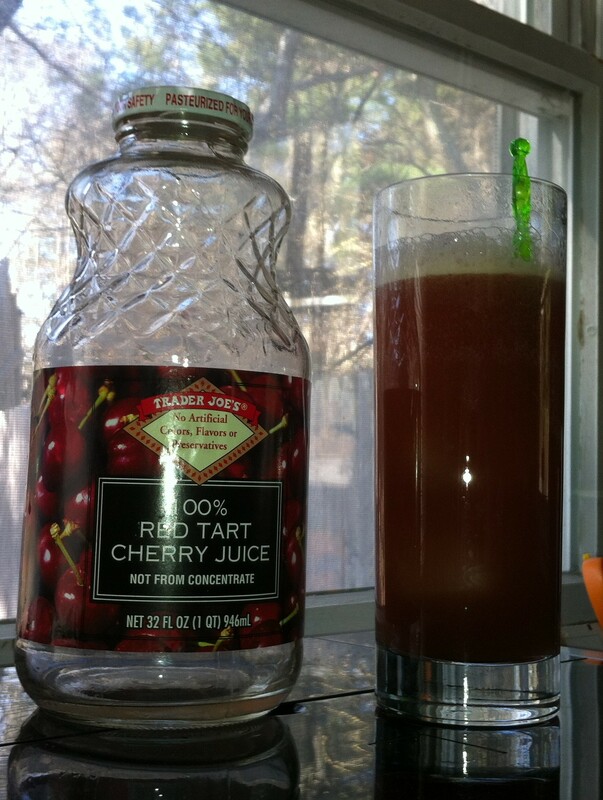 Trader Joe’s has an outstanding 100% Red Tart Cherry Juice that is nothing but what it says on the label. Combining this with my Gin Rickey recipe makes for a drink that puckers the lips while refreshing the palate. Put the gin and cherry juice into the glass full of ice. Squeeze the lime over the glass, and drop in the lime shell. Stir with cocktail stirrer or bar spoon. Top with seltzer or sparkling water. It’s a drink made for the beach, if only the beaches around here were awesome enough to allow us the indulgence. Outside on the patio will do, or, as is often the case, I’ll drink it in the middle of winter while dreaming of beaches where they don’t prevent adults from doing adult things.